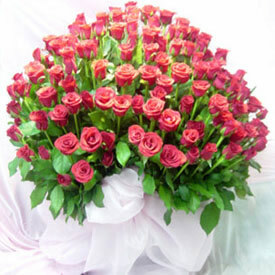 100 Red Roses bunch in a basket is a floral arrangement and a collection of 100 vibrant red roses beautifully arranged in a basket. Each flower is selected by our florist and artistically decorated in a basket along with greenery.Bright Red is full of life and passion and is guaranteed to lighten up the day. 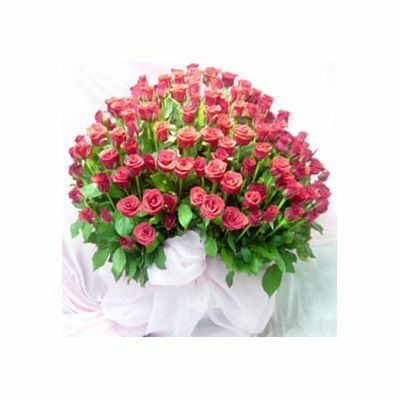 Send roses bouquet online and see the magic of our lovely red roses.